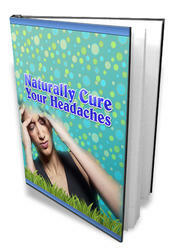 Most headaches, characterized by a dull pain, are tension or stress related. Other sources may be a musculoskeletal problem in the upper back and neck that can be helped with craniosacral therapy by an osteopath; or pressure from the sinuses. A headache on awakening may be an indication of high blood pressure. About 10% of headaches are called migraines—throbbing in nature, genetic in origin, they are the result of constriction and dilation of blood vessels in the brain. Severe headaches that appear suddenly or that increase in severity may be caused by an underlying condition and should be checked by a physician. Allergies, especially to certain foods, and food sensitivies are suspected of being the major causes of migraines, in children as well as adults. The effect from the allergen may not be felt for days following ingestion. Hormonal fluctuations and stress can also be factors in the illness. Migraines will usually appear when there are simultaneous triggers or when there is an excess of one, such as eating too much of an allergic food. Foods contain elements that effect changes in the blood vessels which precipitate migraines in predisposed individuals. These compounds are found in foods such as cow's milk, chocolate, red wine and other alcoholic beverages, aged and hard cheeses, citrus fruits, cured meats and fish, yeast products, nuts, figs, dates, raisins, onions, aspartame, MSG, and caffeine. Smoking and birth control pills can contribute to headaches. Saturated fats contain chemicals that stimulate the production of substances that can cause migraines.